Every spring, Hollywood's biggest stars and indie darlings head east to New York for the annual Tribeca Film Festival. Running from April 13 through April 24, the 15th annual Tribeca Film Festival has 101 features and documentaries, 77 world premieres, 72 short films, 42 directorial debuts and more. SEE ALSO: Savannah Kennick makes her film debut with TriBeCa horror flick "Holidays"
The sheer number of events happening around the city ensures there's always something to do! In honor of the iconic film's 40th anniversary, the psychological thriller will have a special screening at New York's Beacon Theatre on April 21. 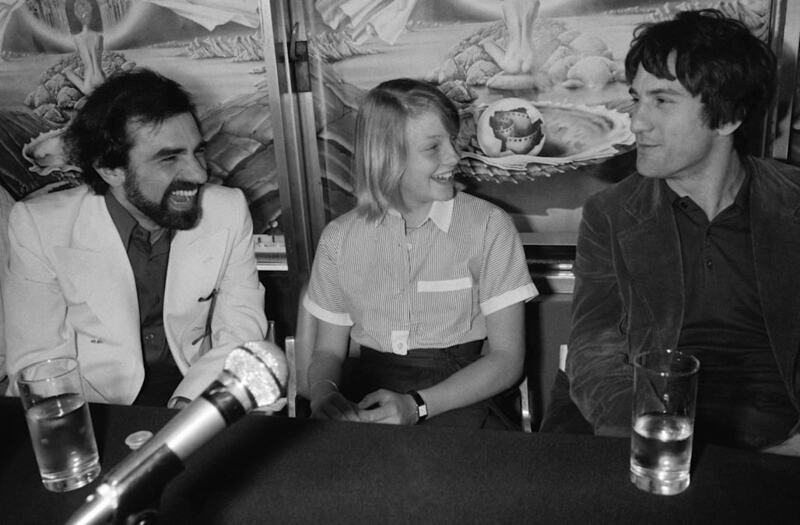 But what really makes the event special is that following the screening, its legendary cast including actors Robert DeNiro, Jodie Foster, Cybill Shepherd, writer Paul Schrader and even director Martin Scorsese are participating in a moderated talk. You can (try to) find tickets to this event on the Beacon Theatre's website here. Tribeca Film Festival and ESPN have teamed up to present Tribeca/ESPN Sports Day on Saturday, April 23. The free fair promises activities from some of New York's best sports teams, like the New York Knicks and New York Jets. You can find more information here. Tribeca Talks are a series of moderated sessions about various subjects in films ranging from the importance of sound in immersive Virtual Reality, feminism in film and even nuclear weapons! Best of all, most of these talks are free. Click here for more information and a schedule of the talks. The cast of Between Us is SO cute! We got to attend the film premiere tonight at @tribecafilmfestival. Check back later this week on AOL.com for more! Speaking of Virtual Reality, you can buy a pass to this year's Virtual Arcade, which features 13 different VR experiences that all promise to be an engaging and immersive for the viewer. One of the experiences is "Ashes," which shares the tragic story of two lovers through a 360 headset. "Crystal Reef" lets viewers experience climate change firsthand as a scientist. "Old Friend," an animated VR music video, describes itself as a "vibrant psychedelic dance party brimming with joyful insanity." You can buy a pass for the Virtual Arcade here. Even though the festival has an incredibly wide variety of activities to enjoy, the main attraction is still the many, many film screenings that occur throughout its run. It is the Tribeca Film Festival, after all! So, go buy some tickets (or get a rush ticket) and head to the theater! Click here for the film schedule and to buy tickets.